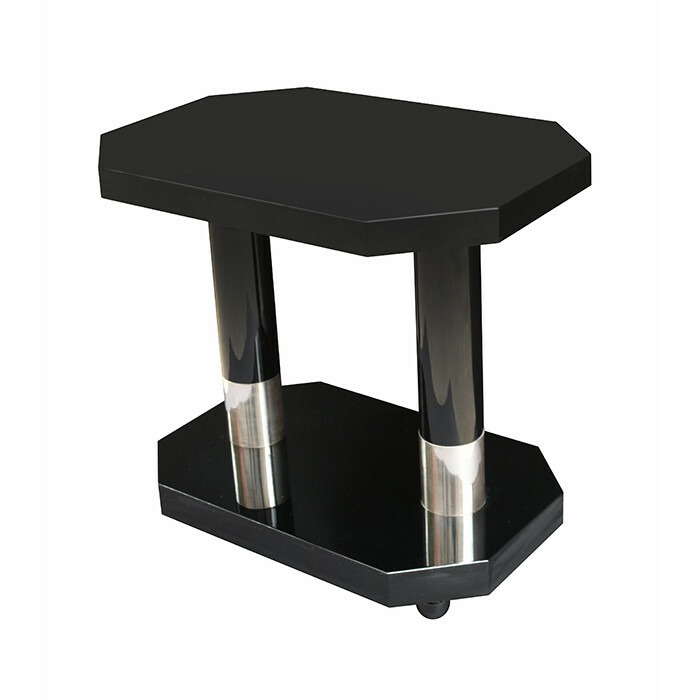 Contemporary two -tier side table. Black lacquer with nickel details. Dimensions: H:21½ W:23¾ D:16¼ Inches.